Christmas Rose cotton and wool applique kit. 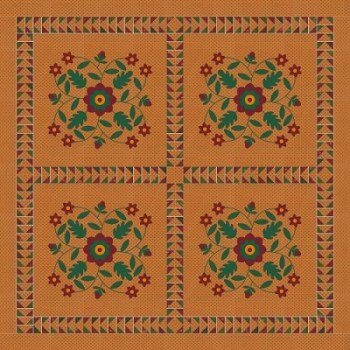 This quilt features for large appliqued blocks. Includes original wool package by Primitive Gatherings, and fabric for the top and binding. From the book Christmas Gatherings available separately. Finished is approximate 63 x 63".